5 Simple Steps to Perform CPR and Save a Life! 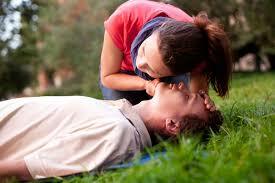 Cardiopulmonary Resuscitation is also known as CPR. It is a lifesaving technique that aims to compress the chest and heart so that blood can be pumped to the brain, albeit weakly. Main function of CPR is to buys time until the paramedics arrive. If CPR is not started within four to 10 minutes of a heart stopping, brain damage can develop rapidly. When an individual suffers an out-of-hospital heart attack, his survival depends profoundly on receiving immediate CPR from a bystander. However, according to the American Heart Association (AHA), less than one-third of these individuals receive the help they need. It is saddening as most bystanders are untrained in CPR and are afraid, they will do wrong. Some untrained bystanders also believe CPR is only done by medical personnel. Make sure the surrounding is safe for the victim, the rescuer, and the bystanders. Check for the victim’s response – tap the shoulder and ask “Are you OK?”. If there is no response, ask for help to call 999 and get an Automated External Defibrillators (AED). Make sure the victim is lying on a flat surface. Place the heel of one hand on the victim’s chest (lower half of the breastbone) and the other hand on top. Keep your arms straight when doing chest compressions. Push hard for at least 5 cm (2 inches) and not more than 6 cm (2.4 inches) for each compression. The compression rate is 100 to 120 per minute. To open the victim’s airway, tilt the victim’s gently by using “Head Tilt – Chin Lift” method. Pinch the victim’s nose while doing the mouth-to-mouth resuscitation and check for the chest rise. Two rescue breathing is need to complete one cycle of CPR. A complete cycle of CPR consists of 30 compressions and 2 breathing. Perform CPR until ambulance arrives. You should perform CPR until the arrival of ambulance, until the victim is conscious, until you are too exhausted or until the AED arrives. According to Heart Stroke Foundation of Canada (HSFC) a scientific statement published in Circulation: Journal of the American Heart Association hands only CPR can also be used if you are not convinced to perform mouth to mouth resuscitation to a stranger. These are FIVE simple steps to perform CPR, yet, the stigma of performing CPR by the bystander still hangs in Malaysia. One of the main issues people resist CPR training in Malaysia is because they do not know where to enroll for the training. Skills for performing CPR deteriorate in as little as 3 to 6 months, therefore refresher training is strongly recommended. Though an optimal interval for refresher training has not been established, it is recommended that training intervals of 12 to 24 months are not adequate. Refresher courses may be needed as often as every 6 months to keep skills sharp. If you are interested to enroll with any First Aid course, you can visit www.certacademy.com.my.